STEM teacher training at a CenturyLink, IBM and Cyber Innovation Center (training workshop for sixth, seventh, and eighth-grade teachers from the Monroe and Ouachita Parish area. MONROE – CenturyLink, Inc. recently partnered with IBM and the Cyber Innovation Center (CIC) to host a training workshop for sixth, seventh, and eighth-grade teachers from the Monroe City, Ouachita Parish and private school systems. Serving as an anchor of Louisiana’s Cyber Corridor, the CIC and its National Cyber Research Park in Bossier City, Louisiana, provide a physical location for government, industry, and academia to collaborate, conduct leading research, and develop state-of-the-art technologies. 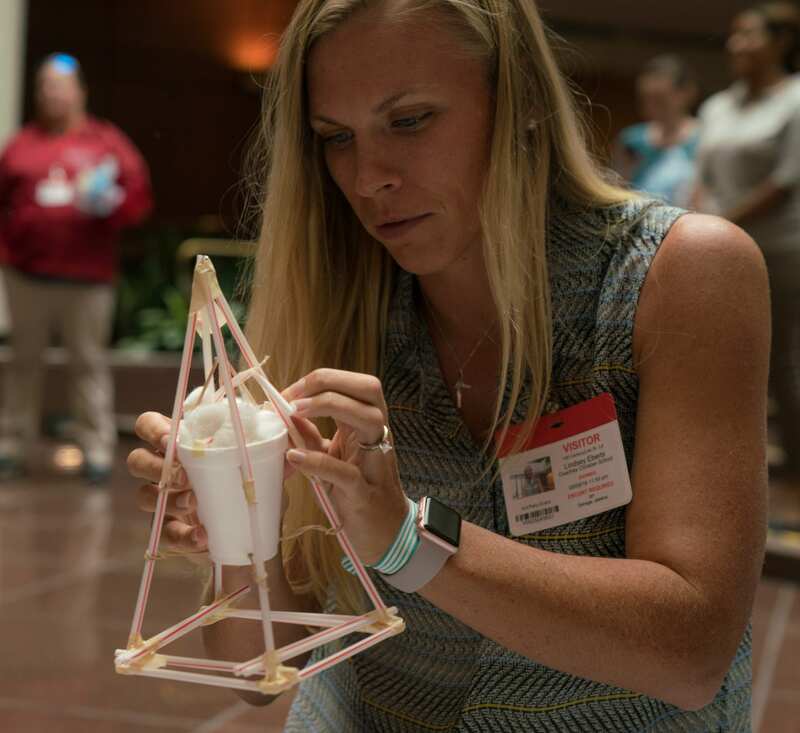 CIC’s professional development workshops are designed to empower teachers with hands-on training, as well as STEM (science, technology, engineering and math) and cyber resources, so they can then transform the classroom into a 21st century learning environment. This philosophy enables teachers to connect STEM and cyber concepts in the classrooms to potential technology-focused career paths in the future. Upon completion of the CIC’s professional development workshops, teachers obtain access to teacher manuals, student manuals and other curriculum materials to enrich the learning experience in the classroom. The CIC curriculum has been implemented in schools in all 50 states across the country and many parishes in Louisiana.